Nashville, TN, July 13, 2017 – Asurion, the global leader in connected life services, announced today that it was honored with a 2017 TDWI Best Practices Award in the Enterprise Data Warehouse category for developing a next-generation data architecture that can provide customers with more personalized smart tech help as well as enable the Company to develop and refine global products and services more quickly, all while adhering to the strict data privacy laws of multiple governments worldwide. TDWI is the leading source for in-depth education and research on all things data. Its Best Practices Awards identify and honor companies that demonstrate excellence and innovation in developing, deploying, and maintaining business intelligence, data warehousing and related data management applications. 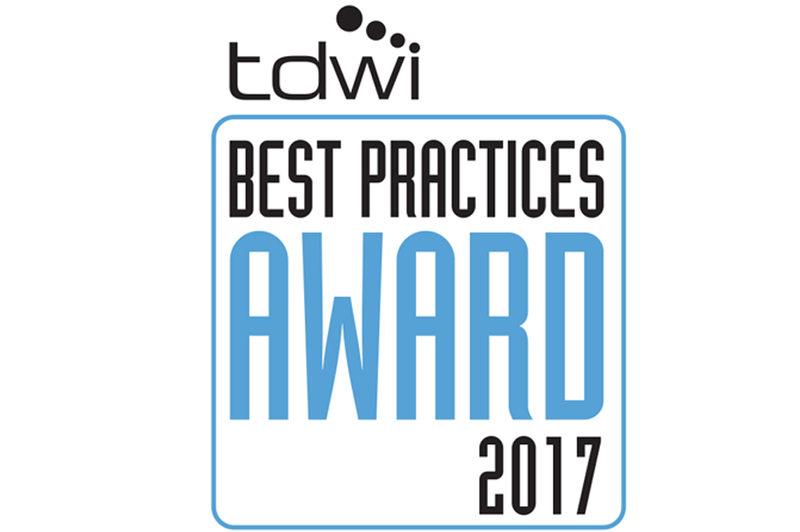 2017 TDWI Best Practice Award winners were selected by a panel of independent judges with expertise in BI, data warehousing and analytics. All nominated solutions were evaluated on business impact, maturity, innovation, and relevance in their field. The Best Practices Awards winners will be recognized at TDWI Anaheim, which takes place August 6-11, 2017 in Anaheim, Calif.
For 20 years, TDWI has helped individuals and teams transform data with intelligence through a comprehensive portfolio of business and technical education and research. The in-depth, best-practices-based knowledge TDWI offers can be quickly applied to develop world-class talent across your organization’s business and IT functions and to enhance analytical, data-driven decision making and performance. TDWI advances the art and science of realizing business value from data by providing an objective forum where industry experts, solution providers, and practitioners can explore and enhance data competencies, practices, and technologies. TDWI presents six major conferences as well as topical seminars, onsite education, membership, certification, live Webinars, resource-filled publications, industry news, and in-depth research. See tdwi.org or follow us on Twitter @TDWI.